The Body of Senior Advocates of Nigeria, BOSAN has resolved to tackle the Federal Government over the trial of the Chief Justice of Nigeria, CJN, Justice Walter Onnoghen and the President of Nigerian Bar Association, NBA, Paul Usoro, SAN. conference room of Nigeria Law School, Lagos. As at the time of filing this report, the body has constituted a committee to draft a communique on their position which will be issued. The meeting which started at about 10am yesterday had in attendance over 50 Senior Advocates of Nigeria. A very reliable source who was at the meeting told Vanguard that most of the senior lawyers at the meeting expressed their displeasure with the procedure adopted by the Federal Government in prosecuting the CJN. According to the source, the trial of the President, Nigerian Bar Association, Paul Usoro (SAN) before the Federal High Court Lagos over allegation of fraud was also extensively discoursed. The source also disclosed that most of the SANs who spoke at the meeting expressed their displeasure with manner that FG appears to have declared war against the judiciary. Vanguard also learnt that a Senior Advocate who is among Federal Government’s prosecuting team was also at the meeting. Hey Buddy!, I found this information for you: "Senior Lawyers To Tackle FG Over Action On CJN Onnoghen". 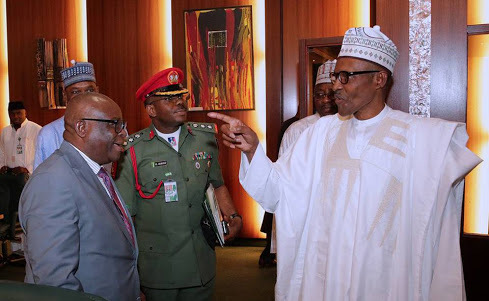 Here is the website link: https://headlinenews365.com/senior-lawyers-to-tackle-fg-over-action-on-cjn-onnoghen/. Thank you.